Brexit planning; where are you now and contingency planning for the next phase - London HR Given the highly complex nature of the Brexit process, many HR professionals are struggling to navigate through the political and legal uncertainties when supporting their employees. How should organisations attract and retain their international talent in this highly uncertain period? 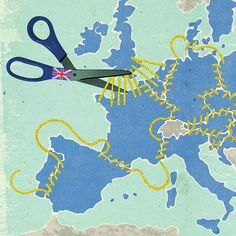 Have you got a plan in place to retain your key EU national employees in light of a no-deal Brexit? What about the rights of British Citizen employees working in your continental European offices? Have you considered the communication strategies to address your employees’ concerns and answer any questions they may have in relation to their employment rights? What can you do to help employees feel confident that they are getting the proper support from organisations on their continued rights to live and work in the UK and elsewhere? Given the highly complex nature of the Brexit process, many HR professionals are struggling to navigate through the political and legal uncertainties when supporting their employees. Andrea Pankhurst, Bird & Bird’s Head of Human Resources, will talk about what the firm is doing to prepare for Brexit. Bird & Bird’s Head of Immigration, Yuichi Sekine, will address the practical issues organisations face when preparing for Brexit from a mobility perspective. He will talk about recent changes to the EU Settlement Scheme, the pilot scheme and pitfalls to watch out for. Bird & Bird’s Penny Hunt, Legal Director, will briefly cover key employment law issues HR professionals need to know about in the context of Brexit. With grateful thanks to our sponsors and hosts Bird & Bird.